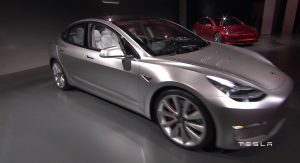 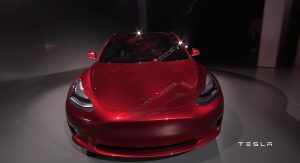 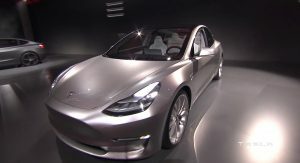 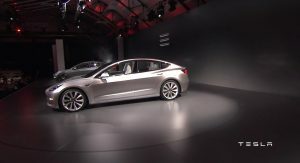 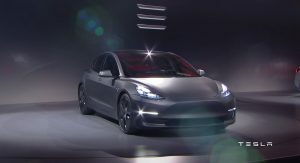 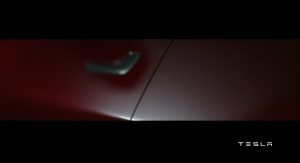 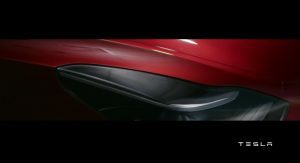 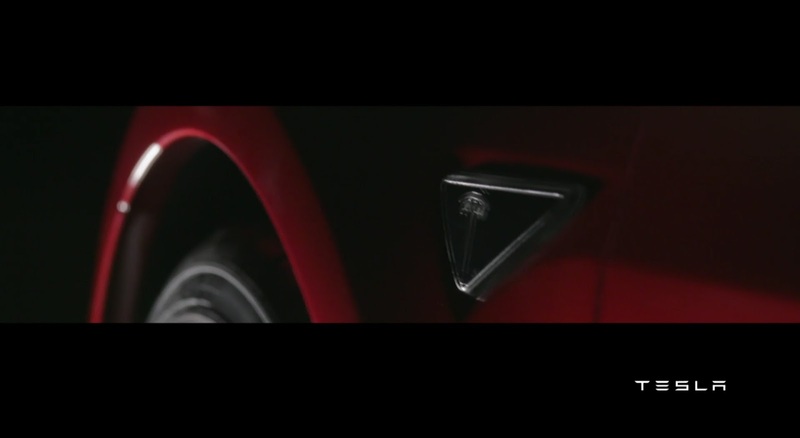 The Tesla Model 3 peeks its way into the world Thursday night, the first appearance of the so-called volume model from the California electric car company. 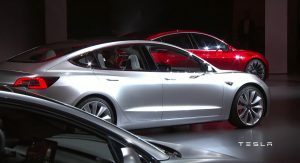 Tesla held an unveiling of the Model 3 at its Los Angeles facility, offering rides to media that attended. 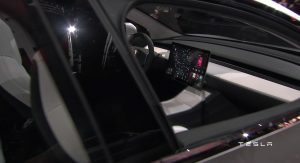 It followed the opening of online ordering an hour prior to the showing, and a full day of customers lining up at Tesla stores who put down a $1,000 deposit to be among the first to get the new car. 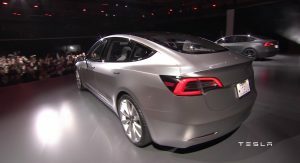 But Tesla says deliveries won’t begin until the end of 2017. 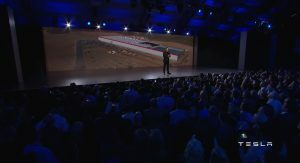 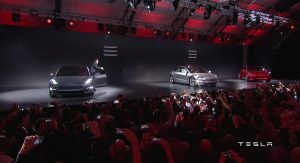 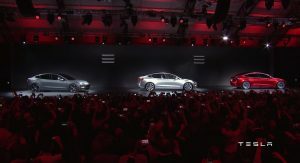 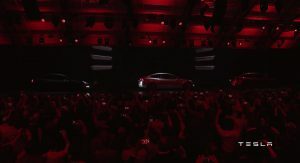 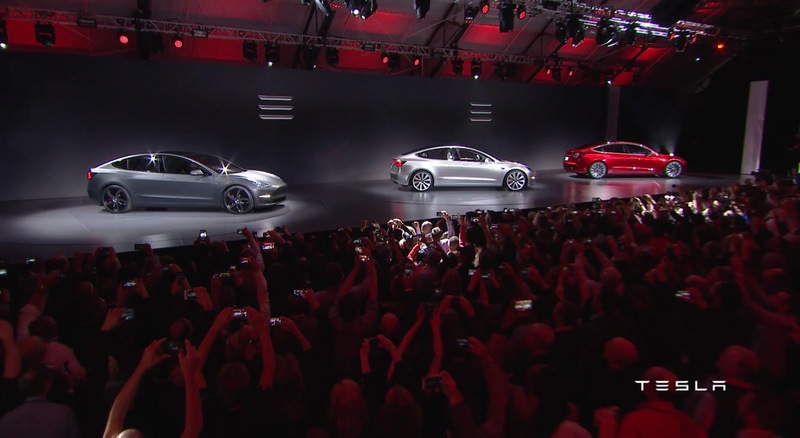 “It takes multiple iterations and economies of scale before you can make it affordable,” Musk said at Thursday’s event. 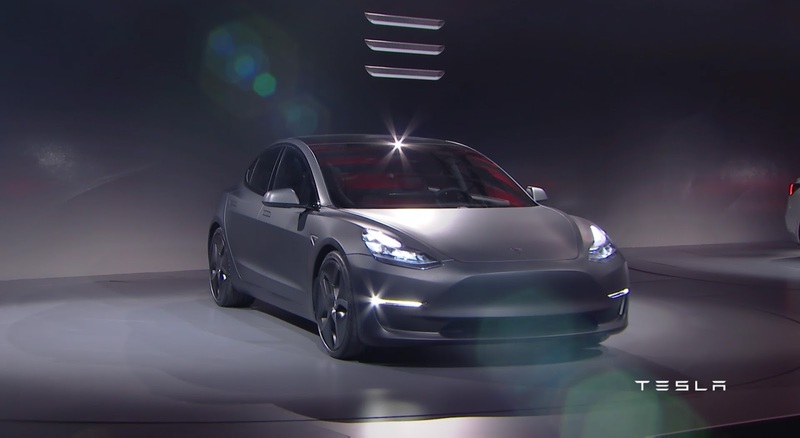 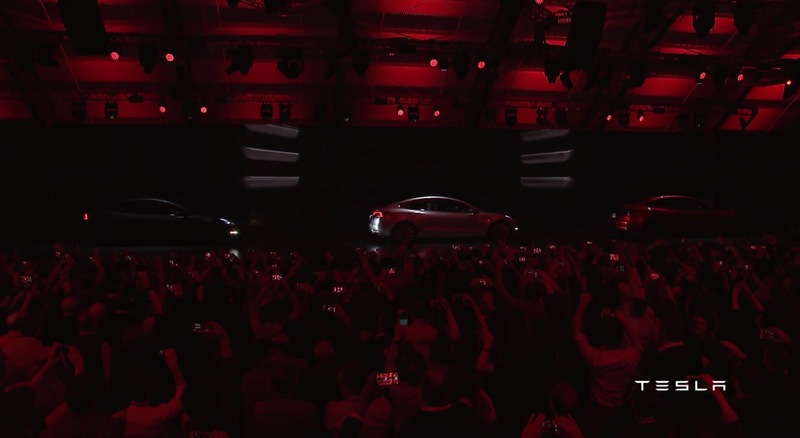 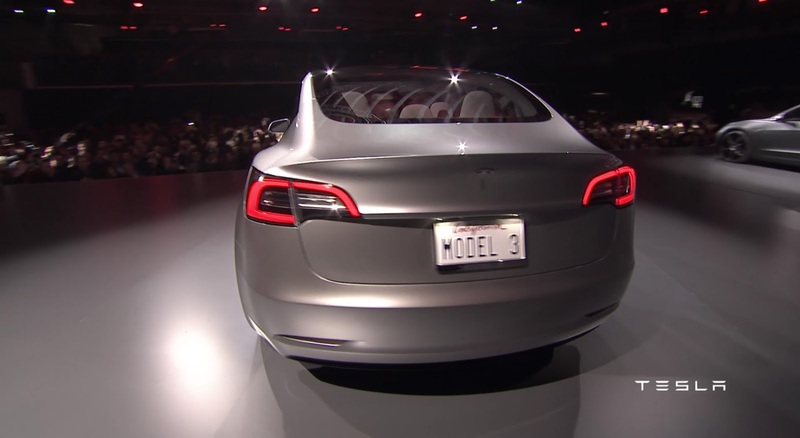 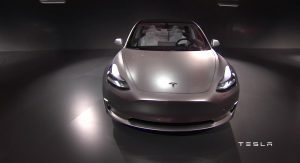 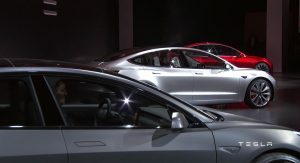 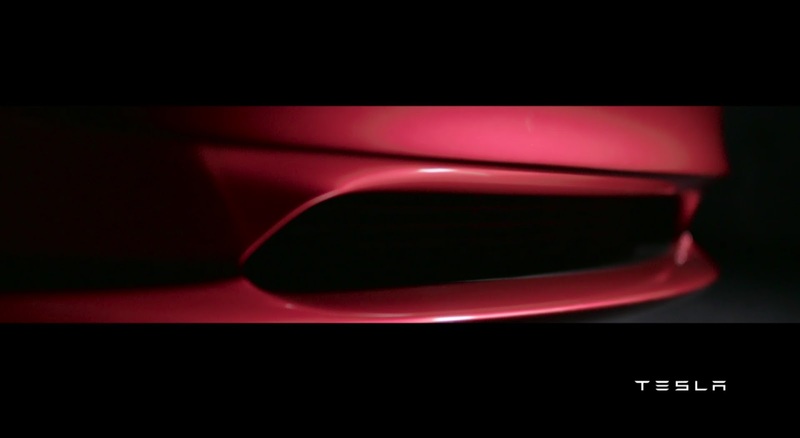 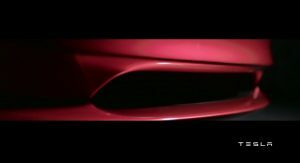 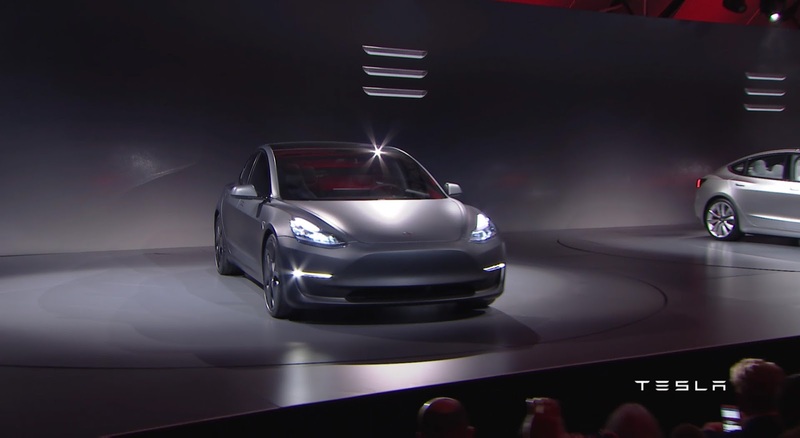 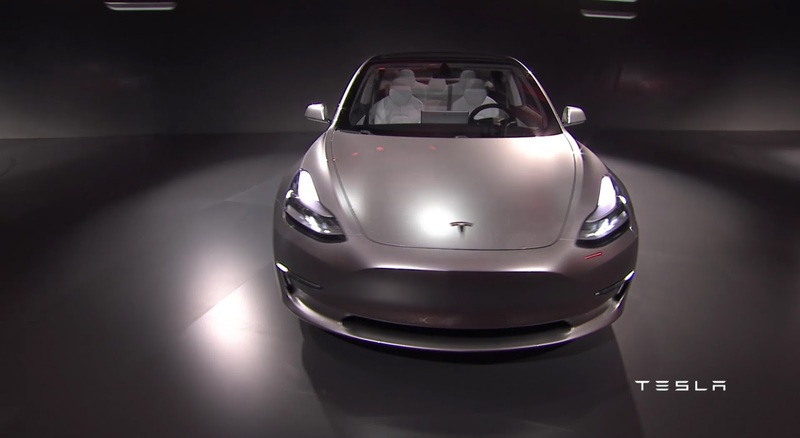 Tonight, we can see the Tesla Model 3 wears a different look up front than the existing Model S and Model X, devoid of a “grille” (it’s electric, after all) and some striking new headlights. 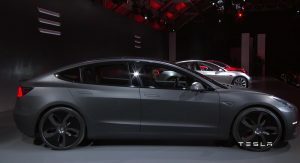 The new styling reminded me of a Porsche Panamera’s front, which is no bad place to start. 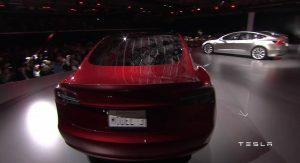 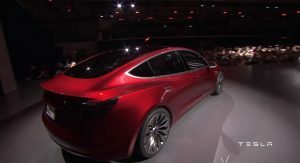 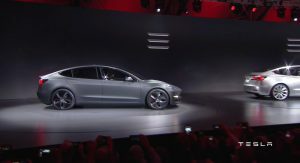 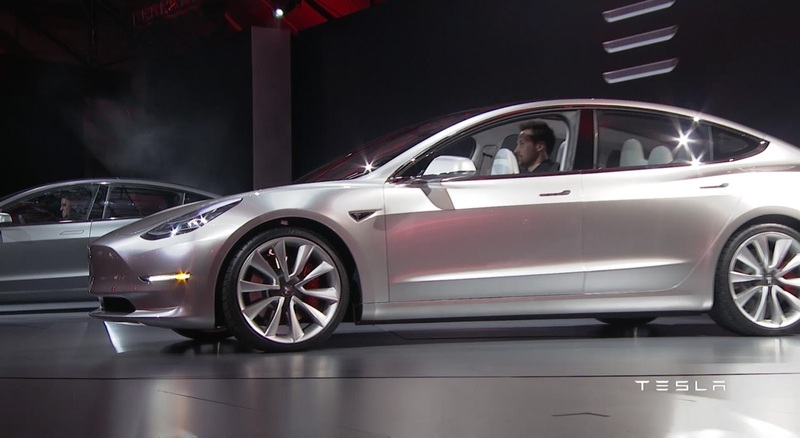 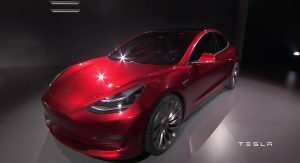 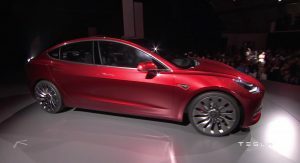 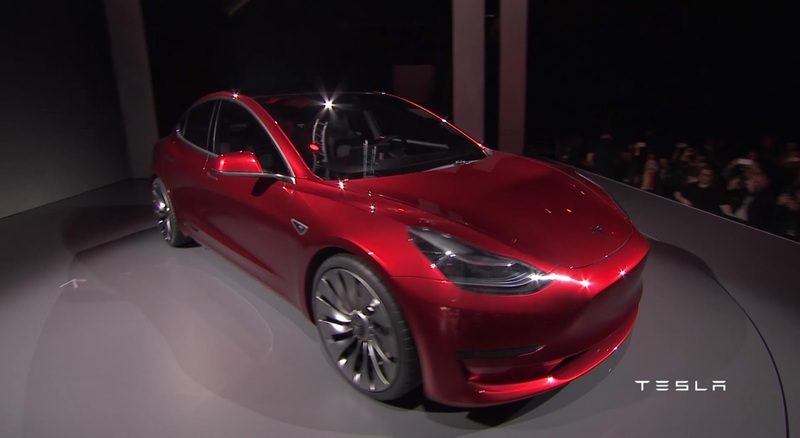 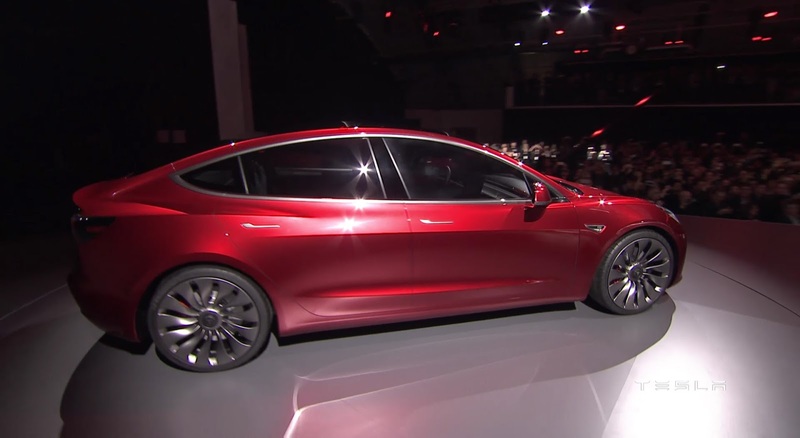 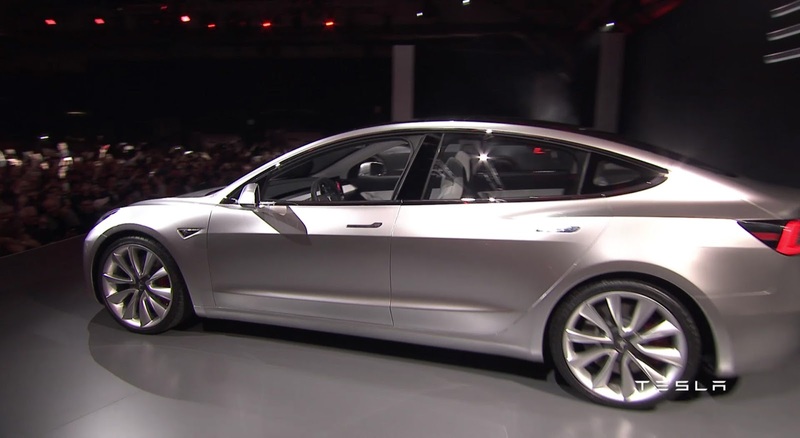 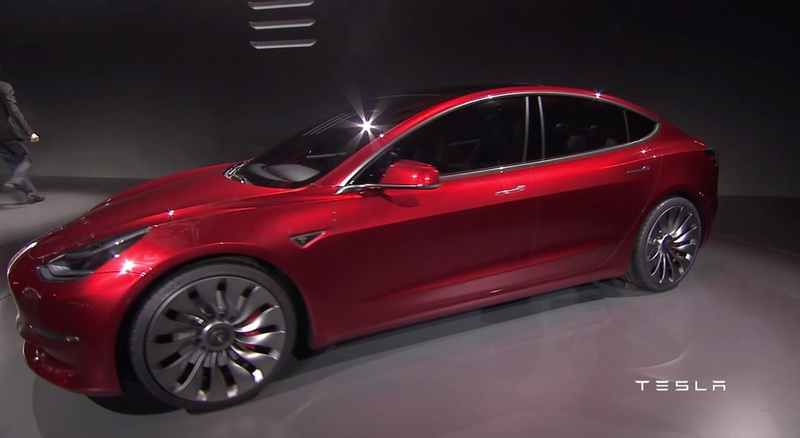 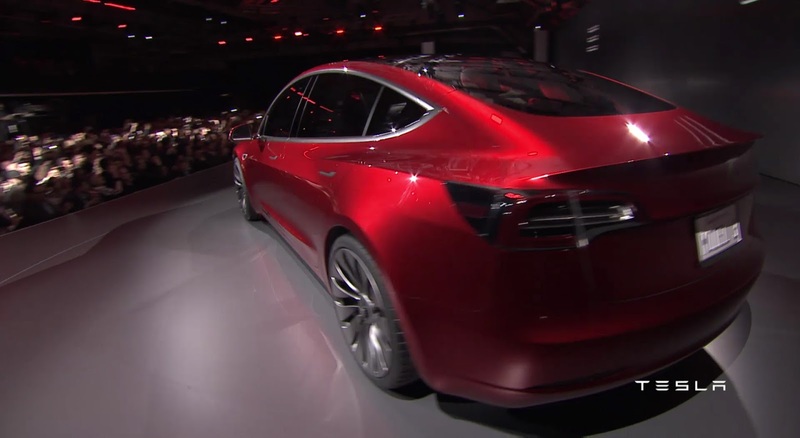 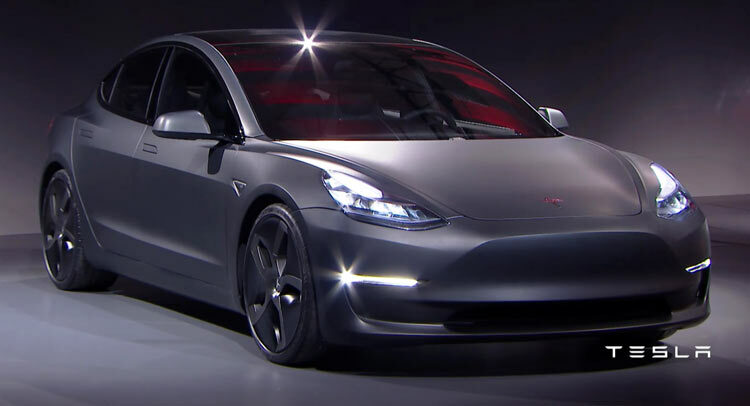 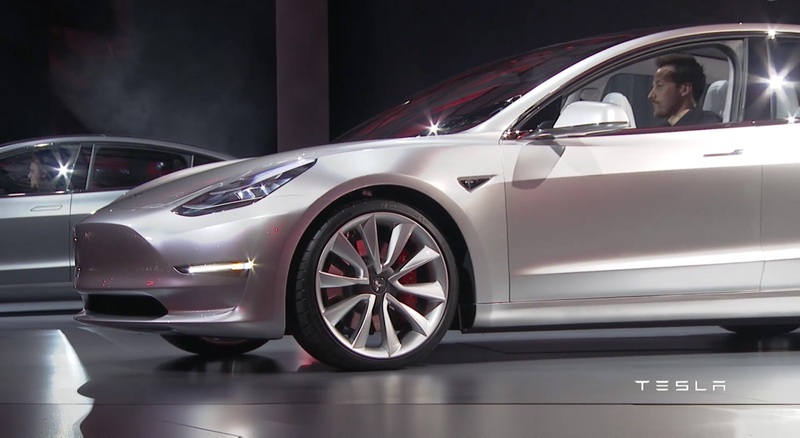 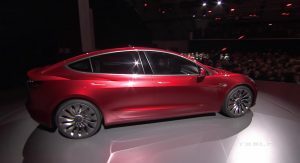 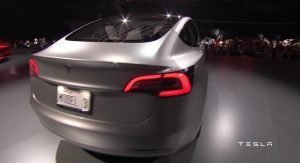 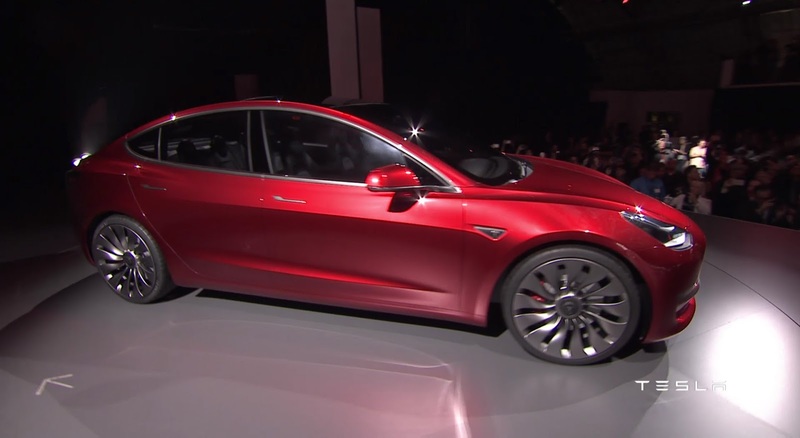 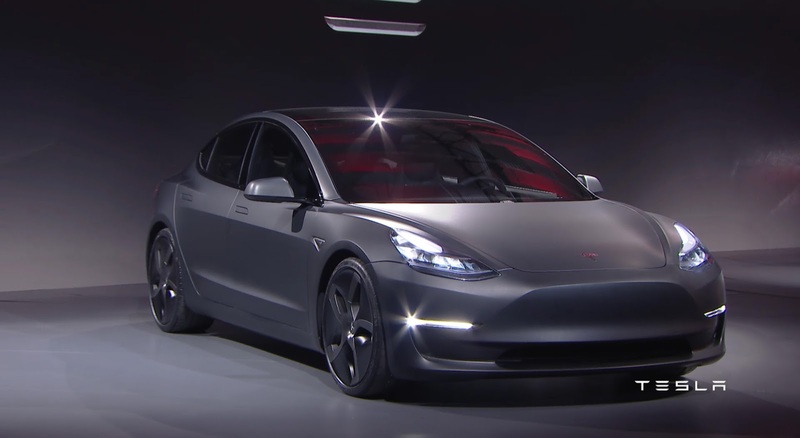 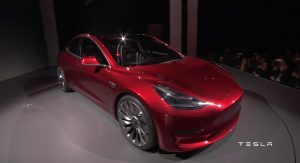 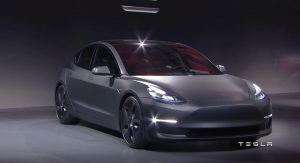 The side profile, however, is much more reminiscent of a shrunken Model S. It’s a refinement of Tesla’s current design characteristics, but on the basis of what’s been shown, it works very well on this smaller car. 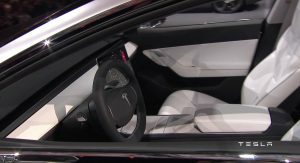 Inside, there’s a new design for the interior, as well. 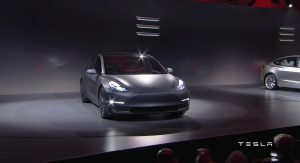 With a wider tablet to control the vehicle functions, the Model 3 has a sportier look than the Model S. But it’s still very simple and devoid of most physical controls. What the company’s founder, Elon Musk, is pledging at this point is that the Model 3 will cost from $35,000 before government tax incentives. 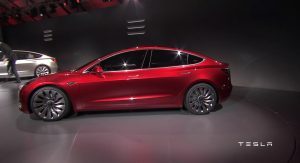 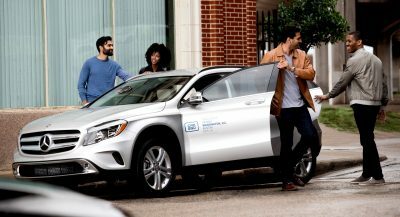 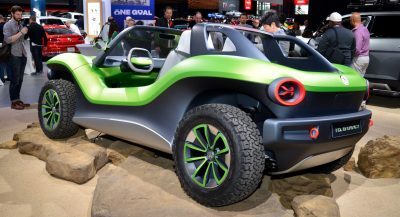 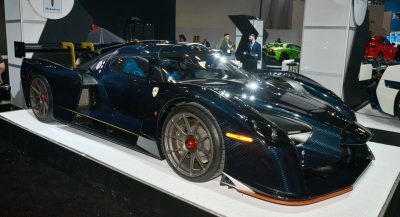 The company promises a minimum EPA-rating of 215 miles on a single charge, with other versions planning to exceed that. 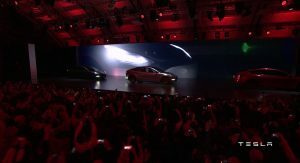 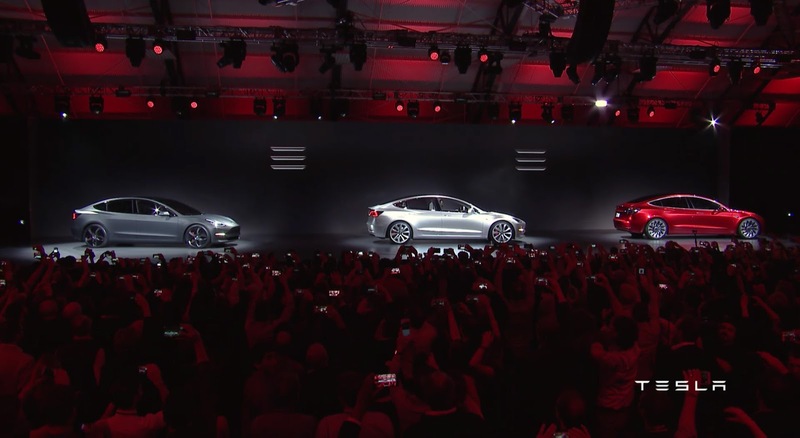 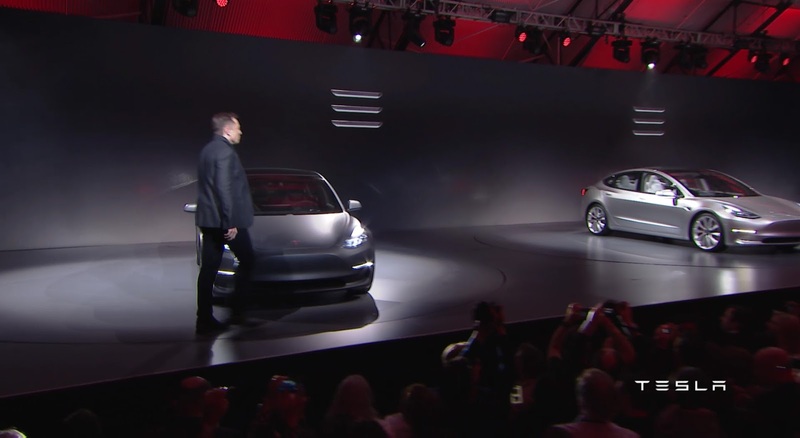 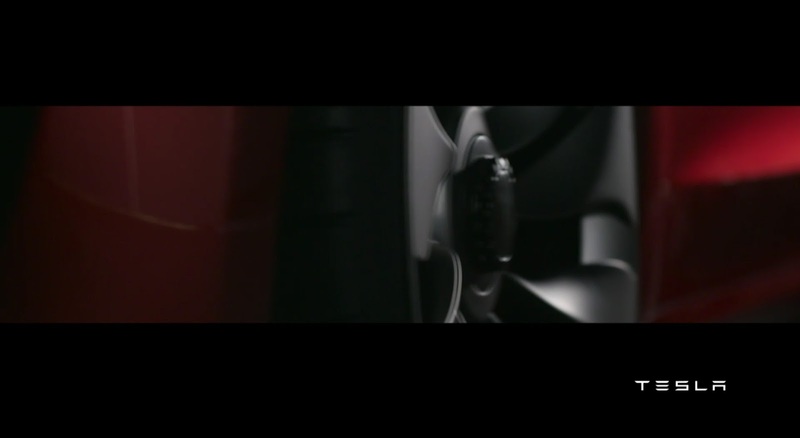 Musk says the slowest version will get from 0 to 60 mph in six seconds. 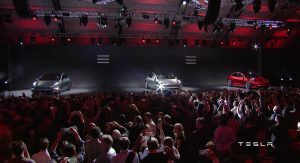 “At Tesla, we don’t make slow cars,” he said. 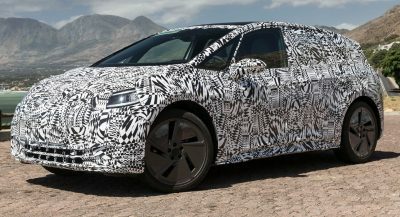 Still, both stats best the claimed 200-ish mile range of the Chevrolet Bolt EV, which will beat the Tesla Model 3 to showrooms by about a year when it goes on sale later in 2016. 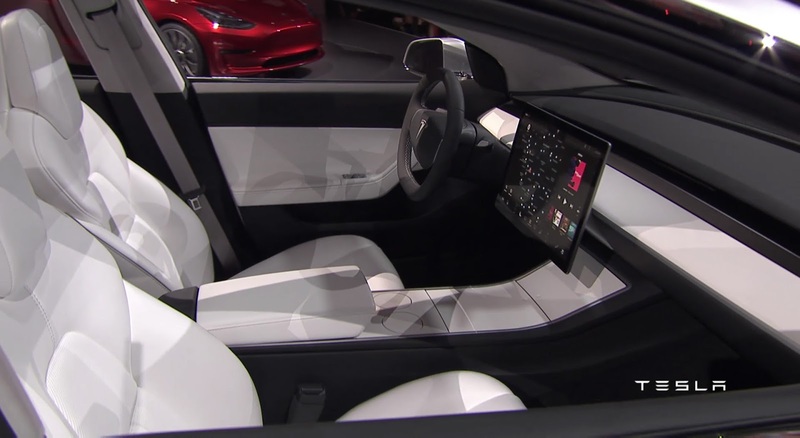 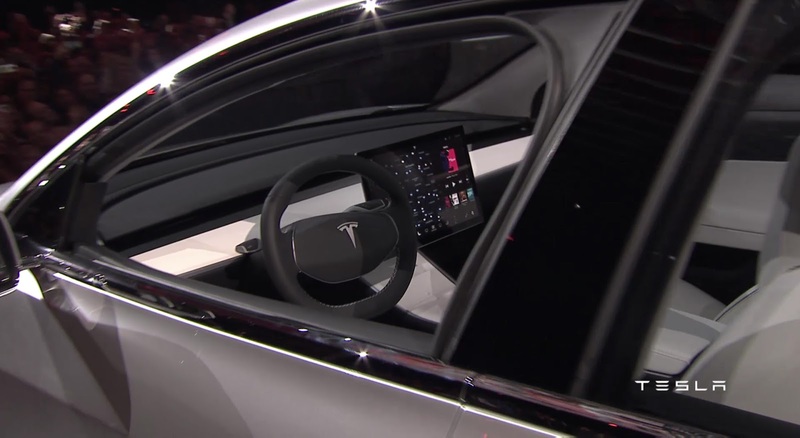 Musk says five passengers will be able to sit comfortably, thanks to a repackaged interior that pushes the front occupants further up and slims the dashboard. 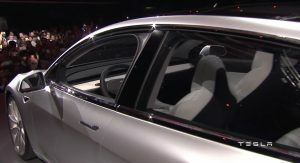 Autopilot hardware will be standard, as well as a glass roof that aims to cure the claustrophobia. 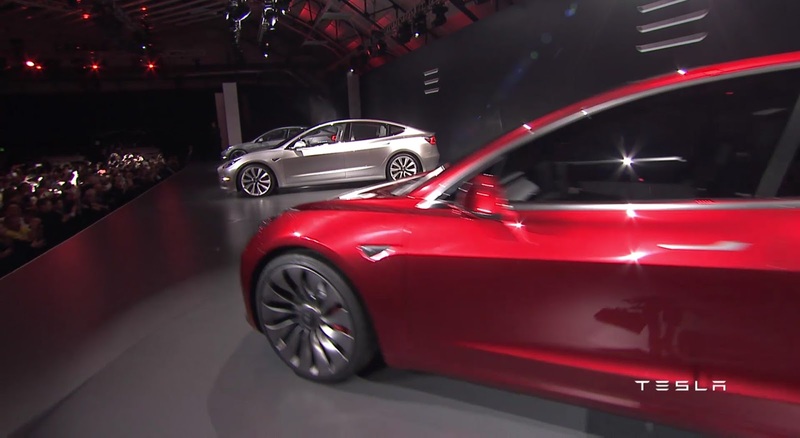 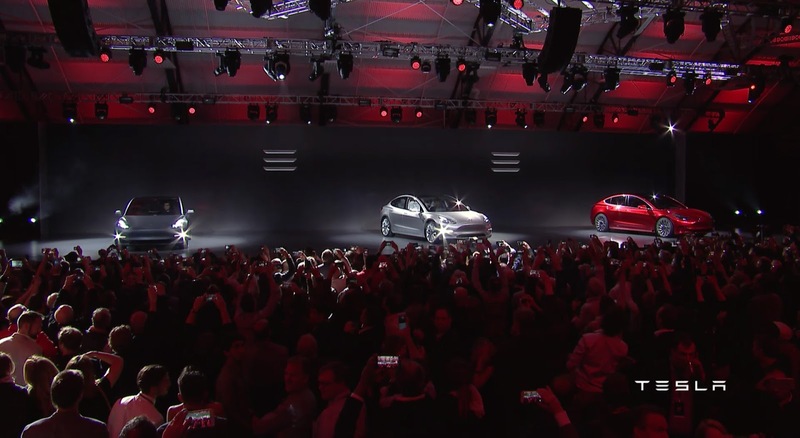 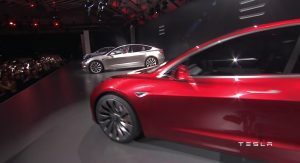 But expect the Model 3 to be sized comparably to an Audi A4, BMW 3-series or Mercedes-Benz C-Class – all three of its prime competitors in its price range. When the Model 3 officially goes on sale, prepare for a wait – even if you were one of the more than 115,000 who put down a deposit today. 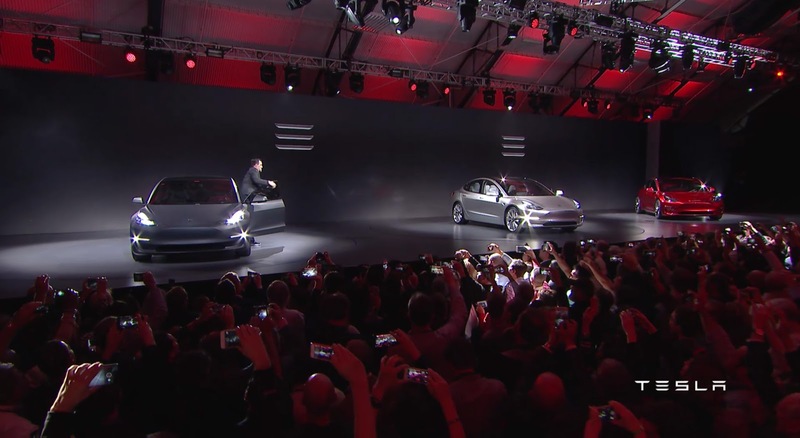 Deliveries start with West Coast customers, then expanding to the rest of the country and the world. 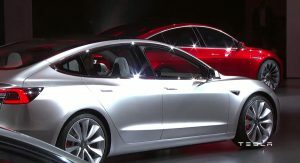 And naturally, Tesla will trickle out more details will be released as the production start date grows closer. 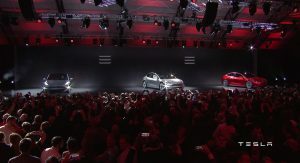 But it’s obvious from Thursday’s event Tesla and Musk are serious about making the Model 3 mainstream transportation, insisting the future of the planet depends on it. 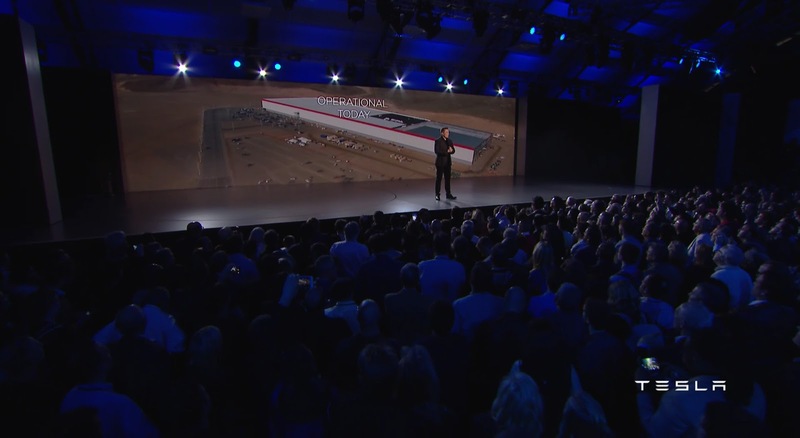 “It’s very important to accelerate the transition to sustainable transport,” Musk said.